The tomb of a high-ranking member of Zapotec society was found at a 1,200-year-old funerary complex in the southern Mexican state of Oaxaca, the National Anthropology and History Institute, or INAH, said. The funerary complex, which has three burial chambers, was found about three months ago at the Atzompa archaeological zone, the INAH said. 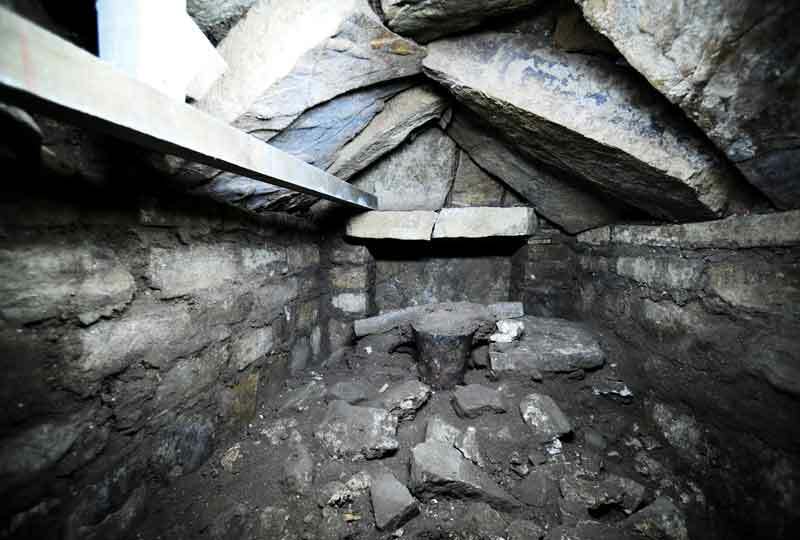 Archaeologists managed to get into the third pre-Columbian burial chamber, which contained human remains that are likely those of a male, INAH archaeology coordinator Nelly Robles Garcia said. The remains will be analyzed to determine the age, nutrition and health of the individual, as well as whether there are intentional deformities of a cultural nature. 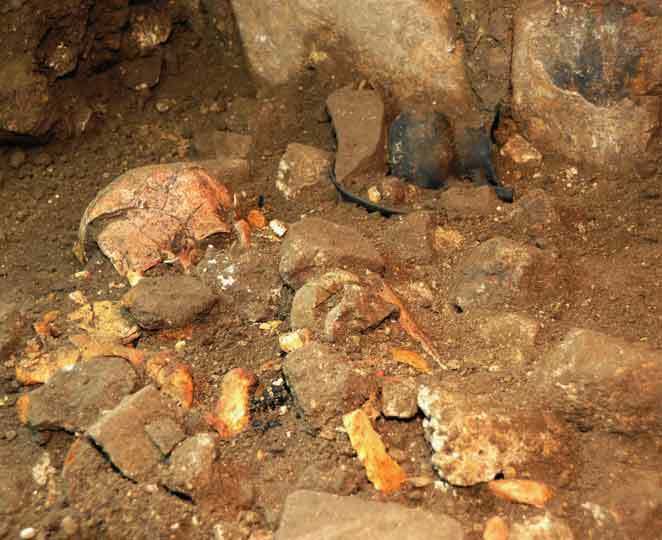 Archaeologists found a fractured skull belonging to another individual next to the remains, leading them to conclude that it may have been an offering. 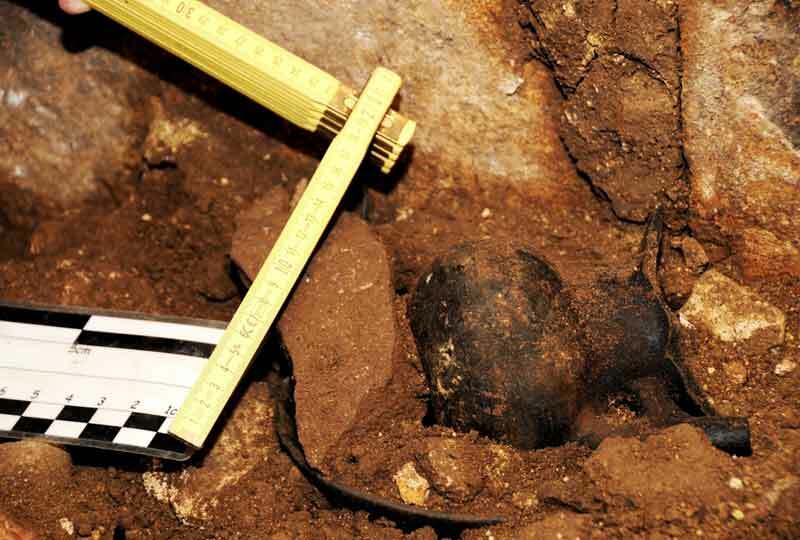 A small, black tubular pitcher and pieces of a vessel were also found in the burial chamber. 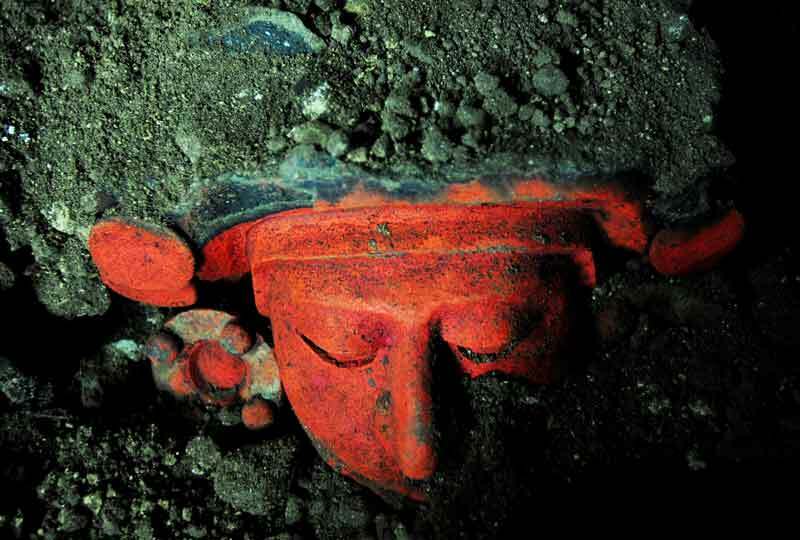 A red urn with a human face on it and other items were found in the grave, archaeologist Eduardo Garcia said. The vessel, which is estimated to date back to 650 A.D. to 850 A.D., is 50 centimeters (1.6 feet) tall, archaeologists said. "We are dealing with a building where the remains of people with a very high status were placed. Who they were and what role they played in Zapotec society is still to be determined based on the findings that are being made and their later analysis," Robles said. Archaeologists found the building, which was designed exclusively as a burial site, in late April. The tombs are located one on top of the other and, unlike previous discoveries, are not underground. One of the burial chambers is decorated with a mural of a ball game, a theme not found before in Zapotec funerary practices. Atzompa was a small satellite city of Monte Alban, the main center of the Zapotec state that dominated what today is Oaxaca. "This discovery changes the perception we had in the sense that it was not as similar to Monte Alban as had been thought but, instead, developed its own architectural expressions, such as in the case of tombs and palaces," Robles said.